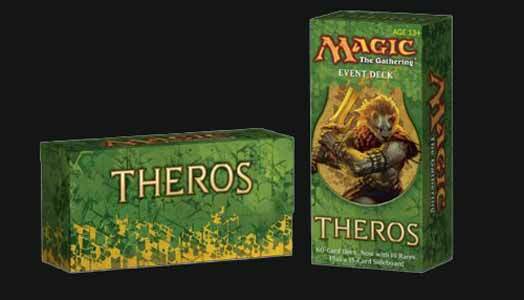 The Theros - Event Deck allows you to jump into tournament play with a powerful deck that will give you a fighting chance. This standard-legal Event Deck contains 60 cards from a variety of sets, 10 rares and a 15-card sideboard. It also comes complete with a Spindown life counter as well as a strategy guide with tips for how to play the modified deck. Event decks are designed for players that are eager to get into Standard tournament play but don't quite have the confidence to build their own deck. Event Decks allow gamers to me competitive, and the sideboard and strategy guide also provide advanced advice on how to keep the deck up to speed with their opponents. This is another well presented set and one that any self respecting Magic fan will snap up immediately.